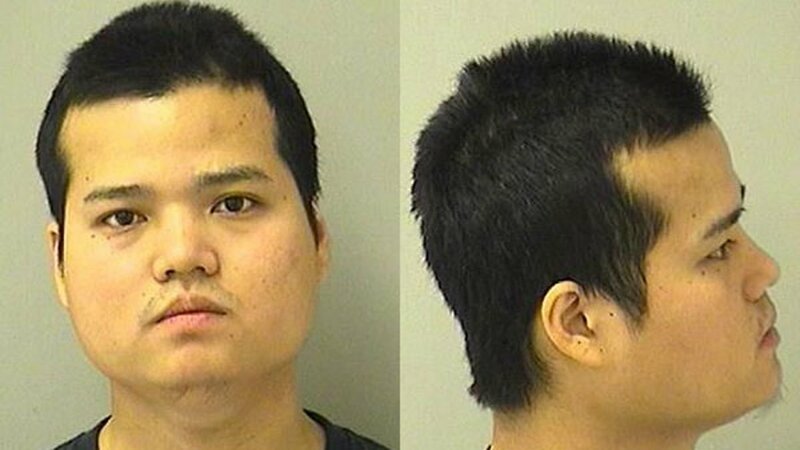 HAMPSHIRE, Ill. (WLS) -- Ler Htoo, 27, of northwest suburban Rockford, is charged with one count of felony involuntary manslaughter after prosecutors said he recklessly threw a meat knife at a coworker, striking him in the chest and killing him. Kane County prosecutors said on Aug. 2, Htoo was at his job at a meat plant in northwest suburban Hampshire when he allegedly threw a meat knife at his coworker, 22-year-old Ai Moo Say, striking him and causing a wound near his heart that resulted in his death. Htoo appeared in court Friday morning, where bail was set at $100,000 with a 10 percent, or $10,000, bond. He next appears in court on Aug. 9. He currently remains in custody at Kane County Jail.